Process Plants frequently encounter process upsets and other events that affect throughput and increase operating costs, thereby adversely affecting profitability. In many cases, these events are related to solid or liquid contaminants entering the unit in the liquid or gas streams. Once the causes of these process upsets or constraints are identified to pertain to the need for better separations, there is an immediate need for the separations equipment. 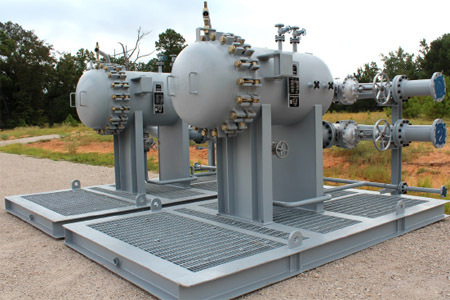 Pentair offers a Vessel & Skid Rental Program that is specifically designed to help end-users and process owners obtain the performance affiliated with our separations technology plus a preferred means of acquiring the equipment through rental or lease to own. In cases where the end-user is looking for an immediate solution, this rental program may be the answer.